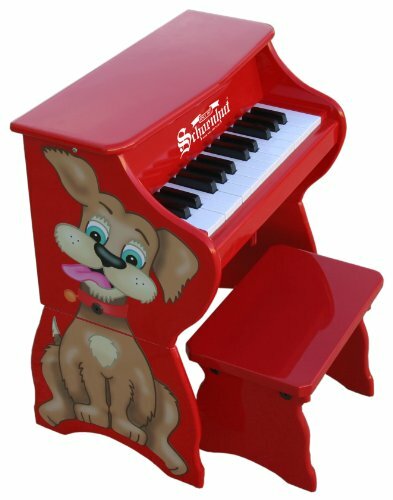 Schoenhut Pianos for Children Add to Flipboard Magazine. 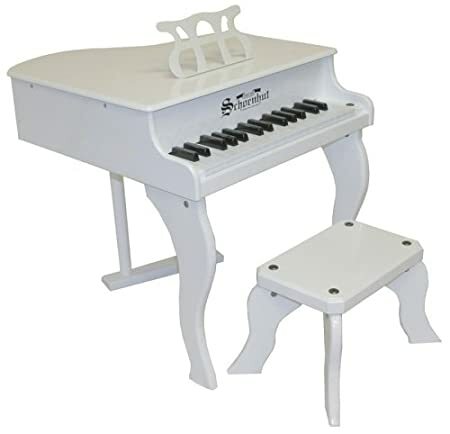 Schoenhut Pianos for Children are perfect beginner pianos. 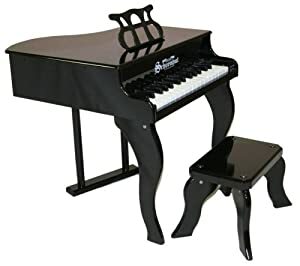 Children love to bang on our piano. Now they can have their own. 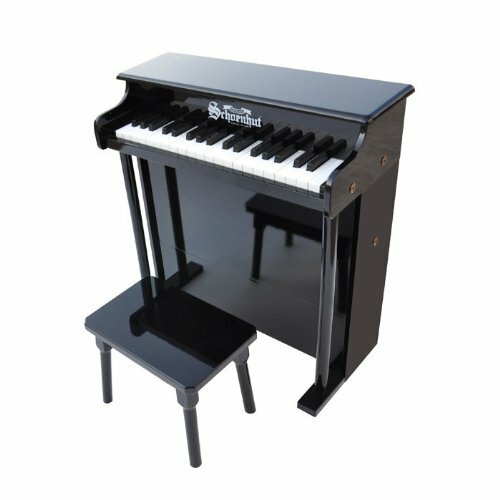 We can actually use this first piano to teach them the basic keyboard skills and musical concepts. 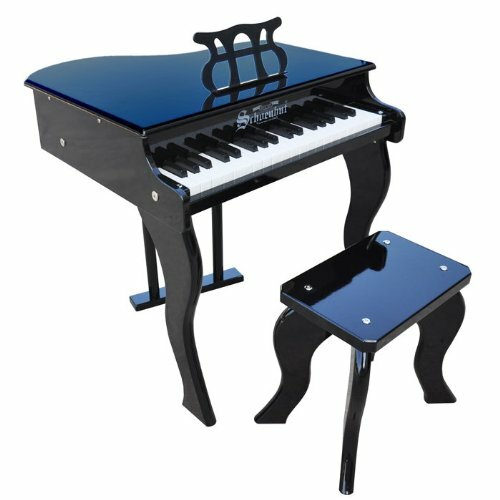 These are beautifully designed pianos, yet extremely durable and sturdy. It never needs tuning! 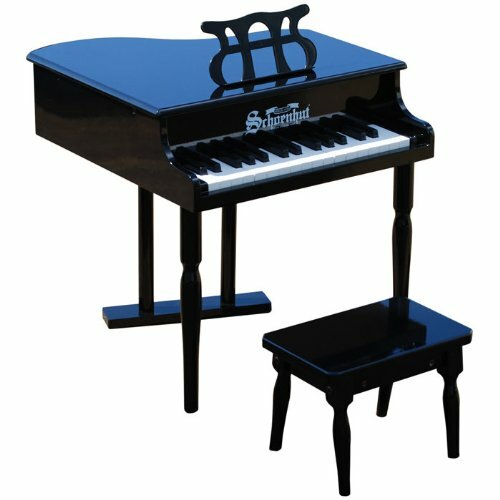 The piano includes Schoenhut’s Learning System and bench. 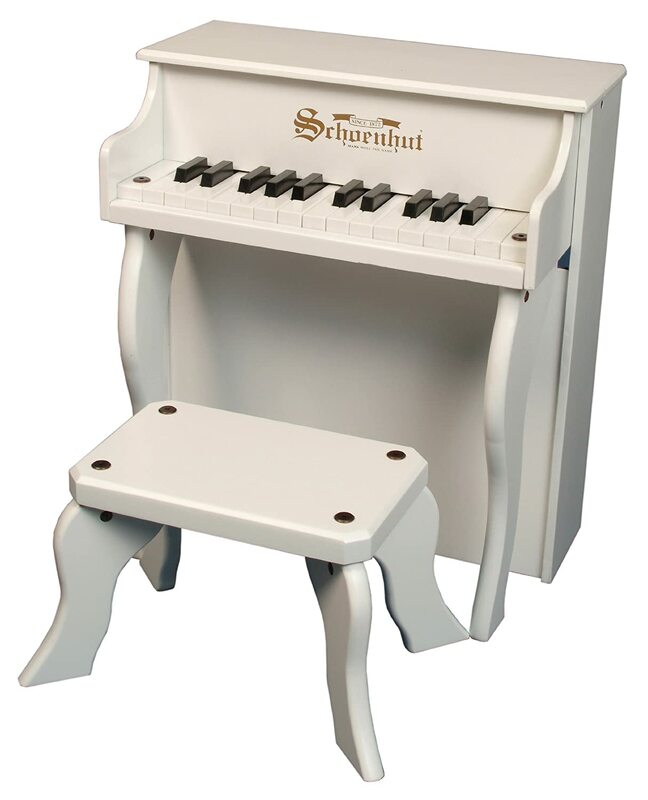 Schoenhut’s Learning System, with its play-by-color assortment of songs, makes playing simple and fun. 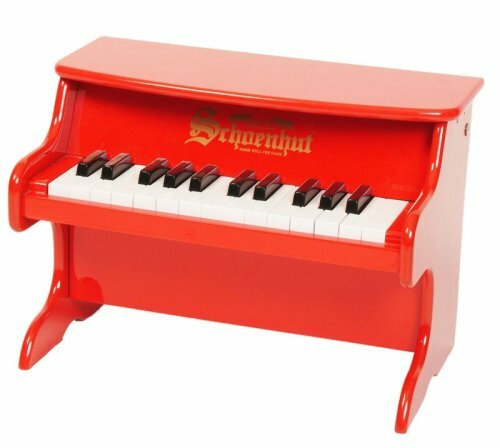 A removable, color-coordinated strip fits behind the keys to guide small fingers from chord to chord. 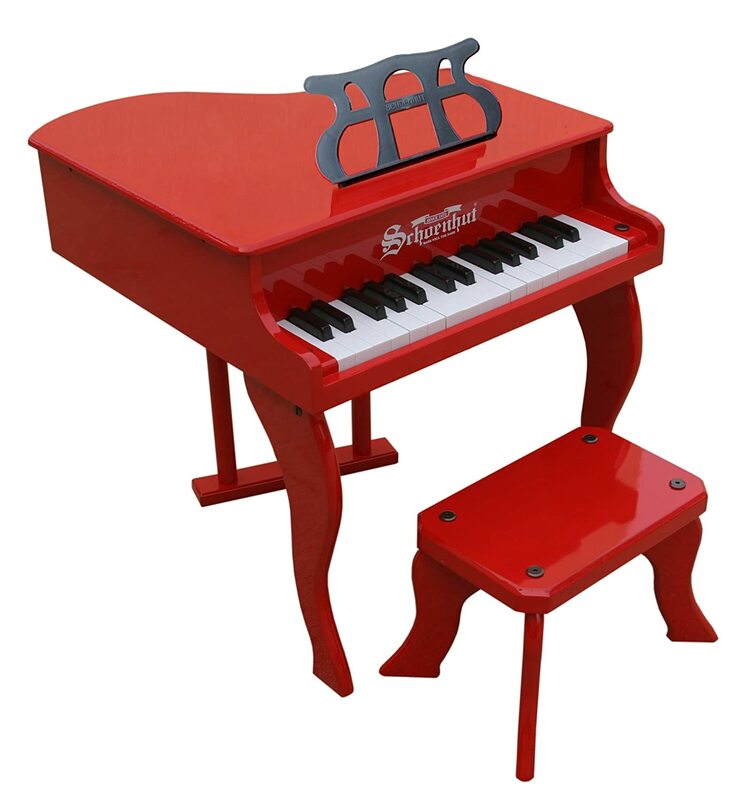 This Learning System has been specially designed to build a child’s confidence and develop basic playing skills. Great for ages 3 and up. 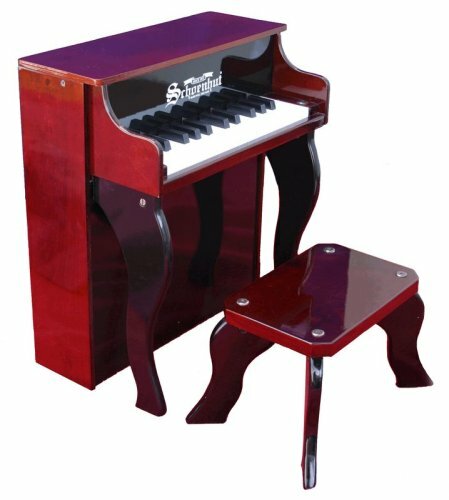 Here is a video review to get a better look at these great pianos. 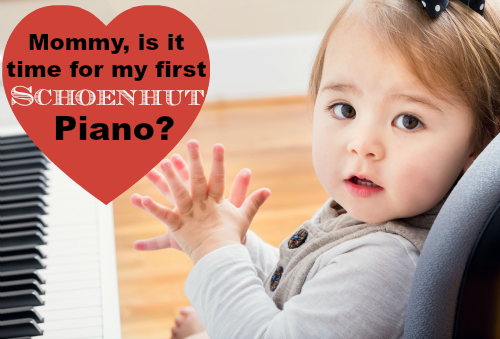 Your new Schoenhut Baby Grand Piano will never need tuning. It will be shiny and looking new for a very long time. 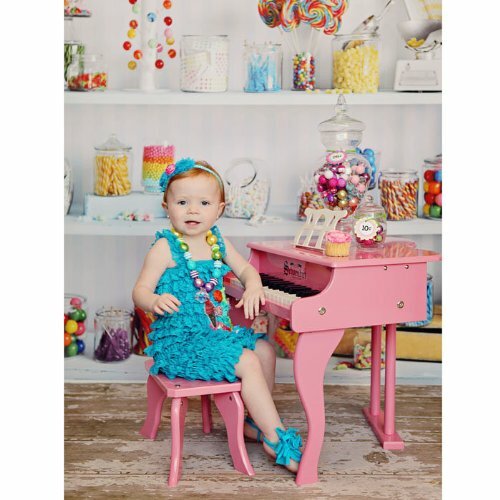 Encourage your child to begin playing at an early age with the great Play By Color teaching method. 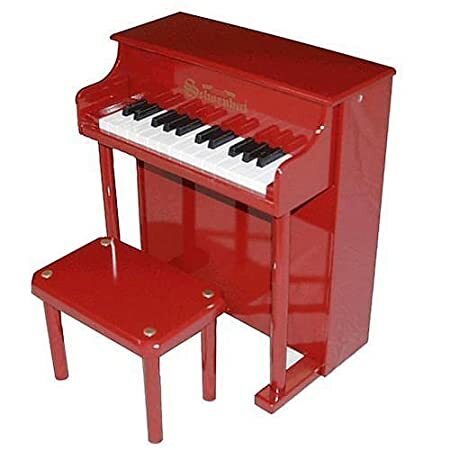 Publicized in the New York Times, this is the only toy piano ever played at Carnegie Hall. 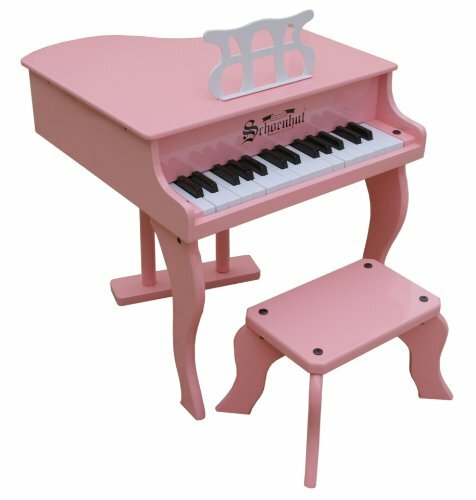 So although it is a toy, it is a high quality piano that will feed your childs love for music.